Certified Curator of the State Archaeological Museum, Head of the Department of Balt Archaeology. My subject is the Roman Period and the Migration Period history of Baltic peoples, more notably, their exchange with Scandinavia, Finnish territories, and with the archaeological Wielbark and Przeworsk cultures in Poland; another area of interest is the study of archival records related to the Balt archaeology and reconstructing the archaeological heritage of the former province of East Prussia (since 2008, within the Ostbalticum Project). More notable archaeological sites excavated in Masuria and the Suwałki Region: Kazimierówka near Szurpiły, Ławki, Paprotki, the Marycha River valley. With Professor J. Okulicz Kozaryn, helped initiate the “Project Szurpiły” to analyse the evidence from past and new investigations of the site at Szurpiły, a key settlement centre of Yatvingia. As part of the same project I launched the first ever geophysical survey to be made in the Suwałki Region, carried out in cooperation with the team of Dr Harald Stümpel from the Institute of Geosciences, University of Kiel. Curator at the Department of Balt Archaeology of the Archaeological Museum in Warsaw. 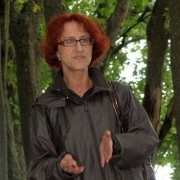 In 2006–2007 in charge of the archaeological investigation of the settlement complex at Szurpiły. Since 1998 engaged in the study of Yatvingian hillforts of Eastern Masuria. 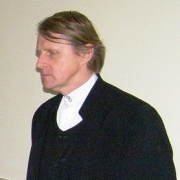 In 2013 defended his PhD thesis on early medieval Yatving settlement systems as illuminated by the investigation of centres at Szurpiły and Konikowo (Polish title: Systemy wczesnośredniowiecznego osadnictwa jaćwieskiego w świetle badań ośrodków w Szurpiłach i Konikowie). 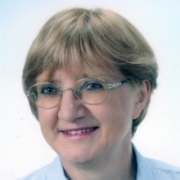 The Project Team member responsible for settlement studies and the scientific analysis of the early medieval materials. Interests: early medieval Yatvings – their settlement and defense systems. Evidence from the archaeology and the written sources on the Baltic Sea region during the Viking Period. Collections specialist at the Department of Balt Archaeology of the State Archaeological Museum in Warsaw. 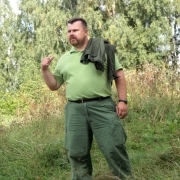 In 2008–2012 in charge of the archaeological investigation of the settlement complex at Szurpiły. 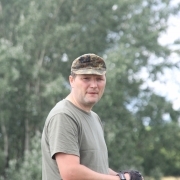 Initiator of and the main specialist running the project of aerial mapping by LIDAR of the Yatving territory. The Project Team member responsible for non-destructive methods of site survey and their confirmation by the archaeological methods. Interests: archaeological landscape analysis, with a special focus on prehistoric and early medieval defense systems of the Balt tribes. The Project Team member responsible for Project implementation on the behalf of the Museum. Curator at the Department of Balt Archaeology of the State Archaeological Museum in Warsaw concerned with the Roman Period archaeology of the north-eastern region of Poland (Masuria and the Suwałki Region). In charge of the analysis of archaeological material, both from past research – mainly using input from archival documentation – and from current investigations. More recent excavation projects include cemeteries of the Bogaczewo Culture and settlements of Sudovian (Yatving) Culture and of the West Balt Barrows Culture. The Project Team member responsible for specialist consultation of archaeological material dating to the Roman Period. Antiquarians Associated (Stowarzyszenie Starożytników) is a public benefit organization founded in 2002 by a group of enthusiasts – archaeology and history buffs who share Cicero’s view Historia magistra vitae est – history is life’s teacher. They believe that history’s secrets need to be unveiled, understood and made known to the general public; even more importantly, that there are lessons to be learnt from history to be used in the present. One tool useful for achieving this goal is archaeology. The Association undertakes archaeological fieldwork projects, non-invasive and excavation, using state-of-the-art methods of investigation and recording to retrieve and systematize all the recoverable data helpful for reconstructing human life through the ages, Stone Age through to the Modern Age. One of the more notable projects was investigation of the multi-phase settlement at Jagodno, distr. Radom, occupied during the Neolithic, Bronze Age (Lusatian Culture) and the Roman Period (Przeworsk Culture); other projects addressed the archaeology and architecture of 18th-19th century Warsaw (e.g., the Raczyński House in no. 2 Małachowskiego Square, Barracks of the Foot Guard, the buildings of the Piarist school in the Warsaw Citadel) and 16th-18th architecture of Gdańsk, Starachowice, Pułtusk, to name just a few. The Association also carries out projects within the Operational Programmes of the Ministry of Culture (Protection of Archaeological Heritage). In a more recent projects we used LIDAR to identify and document an extensive barrow cemetery near Brańsk in eastern Poland. From the very first, the Association From has been putting emphasis on experimental archaeology and used it to educate the general public about archaeology. We take part in archaeological fairs and festivals to give presentations and workshops on early crafts, Early Middle Ages through to the nineteenth century. The Members of the Association have appeared at events of this sort held in Pułtusk, Zbucz near Hajnówka, Płock, Ostrołęka, Iłża, Nowy Sącz (St Margaret’s Fair), in Warsaw-Bemowo, Starachowice and many other locations. For some years now the Association has been a guest at the International Festival of Experimental Archaeology in Kernave, Lithuania.